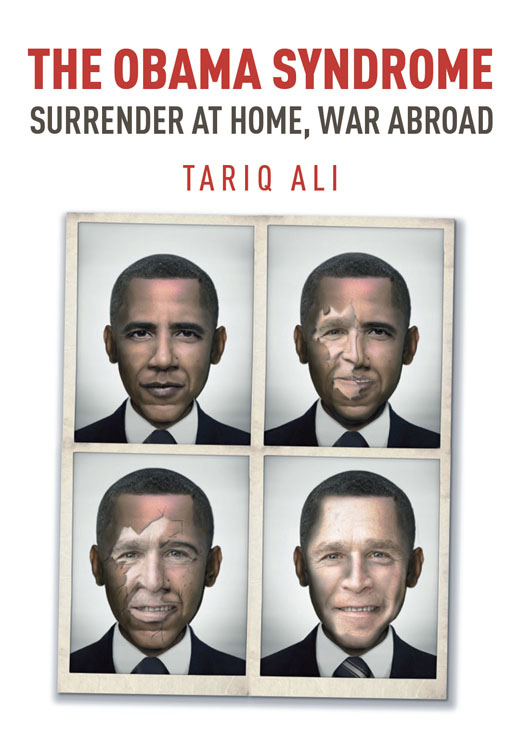 As Barack Obama winds down the final days of his presidency, we revisit the assessment made by Tariq Ali in The Obama Syndrome, first published in September 2010 and revised in 2011. The excerpt below is drawn from the first portion of the "Surrender at Home" chapter, which examines Obama's domestic policy. A modern American president — Republican or Democrat — operates as the messenger-servant of the country’s corporations, defending them against their critics and ensuring that no obstacles are placed in their way. Since the right to profit is considered sacrosanct, any serious alternative is automatically rejected. This is the permanent tension that lies at the heart of a capitalist democracy and is exacerbated in times of crisis. In order to ensure the survival of the richest, it is democracy that has to be heavily regulated rather than capitalism. The inhuman exigencies of the system preclude policies that would obviously benefit a majority of the population. There have been exceptional conjunctures in the past, where a combination of domestic crisis and radical demands from below push an administration in a reformist direction, but their frequency is limited. The New Deal measures in the 1930s and the Civil Rights Act three decades later were the results of action from below. Unable and unwilling to deliver any serious reforms, Obama has become the master of the sympathetic gesture, the understanding smile, the pained but friendly expression that always appeared to say, “Really, I agree and wish we could, but we can’t. We really can’t and it’s not my fault.” The implication is always that the Washington system prevents any change that he could believe in. But the ring of truth is absent. Whether seriously considering escalating an unwinnable war, bailing out Wall Street, getting the insurance company lobbyists to write the new “health care” bill or suggest nominations to his cabinet and the Supreme Court, the mechanism he has deployed is always the same. A better option is put on the table for show, but not taken seriously. A worse option is rapidly binned. And a supposed compromise emerges. This creates the impression among party loyalists that the prez is doing his best, that a team of serious thinkers is hard at work considering every possibility, but that the better alternative simply isn’t feasible. This is followed by the spin doctors coming down hard to defend some shoddy compromise or other. Perhaps all this is meant to demonstrate what he meant when he wrote in his campaign-oriented book The Audacity of Hope that Reagan was a model in many ways. He alone had truly understood the American psyche and for that reason was worthy of admiration. This Clinton-style demagoguery was designed largely to appeal to Republican or swing voters. Thinking of his reelection even before he’d entered the White House, he was determined to be a “consensual” president, unlike Reagan, or for that matter Lincoln. The latter had led a brutal civil war to preserve the Union, the former had — with the aid of a ruthless conservative politburo — begun to dismantle the New Deal consensus and talked of destroying the Evil Empire. He was running for the United States Senate at the time, and when I asked him with my sad eyes and perplexed, torn heart, he told me he did it because, “We have to be fiscally prudent.” I said, “Huh?” and he explained to me that we had to show fiscal responsibility during tough budget times ... Finally, I heard the bill number for a cut in the South Side in Senator Obama’s district. Barack rose to his feet, and towering over the senate, gave a heart-wrenching speech condemning this particular cut ... he asked for compassion and understanding ... his fiscally prudent vote took place only about ten minutes earlier and now he wants compassion! What the episode reveals is that Obama’s aggression is reserved for progressives on his own side, a right uppercut waiting to be deployed against those on his left. As for the rest, it’s business as usual. Corporations of every sort and the politicians and lobbyists attached to them will never be stomped into oblivion. Instead they’re raised on stilts. To the continuities in foreign policy we can add their equivalents on the domestic front. 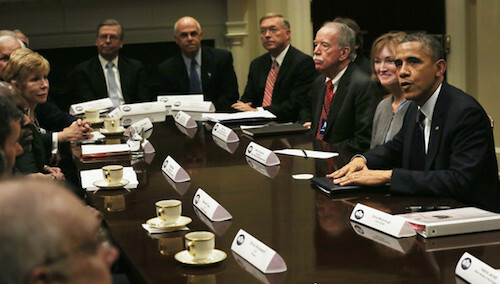 Simultaneously wily and timorous, Obama has succeeded in doing the opposite of what he intended. He wanted to please Democrats and Republicans alike; instead he ended up annoying most of them. The Right has been openly contemptuous, the Center, represented by senior columnists in the New York Times, has become surprisingly critical early on (though always in an understanding way), and his own youthful base are becoming alienated. Rhetoric is not enough. The situation at home demands more. All he has been able to offer are Clinton-style policies already discredited.